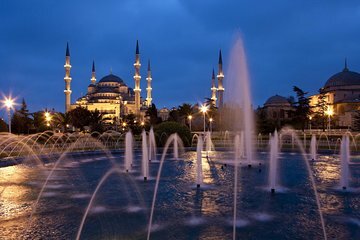 Take in the very best of Istanbul’s old city with a full-day private tour in a comfortable vehicle. Enjoy the flexibility of a private tour, and customize the day to include the sites that interest you most. Discover the rich history of Constantinople at the Hippodrome and Saint Sophia, then explore the greatest sites of the Ottoman Empire. See the iconic tiles of the Blue Mosque, and learn about palace intrigue and treasures at Topkapi Palace before returning to your hotel or port.